The system Baydou will test | All about CHINA. The system Baydou will pass testing In the years ahead. Sistem Baydou will pass testing the in the years ahead. Baydou and as result navigational system China will get Certificate and will become the full-fledged navigational system. All is because China wants to remove its system in one level with all already existing like class. This information is ed by State committee on deals Certificate in KNR. Cetification will allow more broadly use the possibility of the system in public facilities and export their own possibility on the whole World. While that goes preparation a centre testing given systems, but already in 2015 in China will make the special base for testing the system on China. This will concern with seven regional centres. The Given centres will test the product which will in the future work with chinese navigational system. The Program Baydou began in 2000 and purpose given cosmic system is not desire China to depend on American satellite. 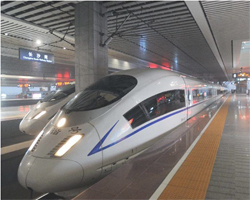 And what confirm the chinese sources already to 2020 chinese system will leave on design power. The System Baydou are group from 30 satellites, are at the point produced start 12 and 13 satellites, system is gradually built and develops. On territory China by the end of this year possible already granting the services in complex package. ASIATIC-Pacific region will in the near future get its own absolutely isolated system to navigations. As judged by given from China, on given time by system uses already beside 120000 users in miscellaneous small piece of coal world.